According to The Rule of St. Benedict, all work is a participation in the work of the Lord, whether we are praying or working with our hands and minds. 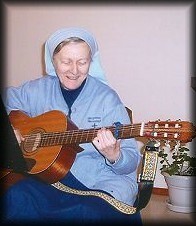 Our work supports our community and provides us with alms for the poor who appeal to us. If you wish to make a purchase, please print out our order form first, and as you discover items you would like to purchase, please write down the appropriate information. When finished ordering, please enclose your check or money order with the order form and send it to the address on the bottom of the order form. You may click on the associated button to view that area of the gift shop. Trying to promote the “culture of life” which Our Holy Father, Pope John Paul II, has preached constantly, Sister M. Beverly crochets handmade baby gifts. The baby booties are available from $12 to $25. The baby booties come with a gift tag which includes laundering instructions. 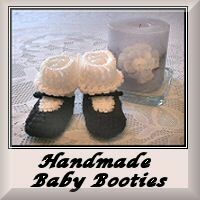 The booties are the smallest size and suitable for infants 3-6 months old. Collecting real flowers has become a way of life for us. We enjoy finding where and when the wildflowers grow. We also cultivate flowers for harvesting in our hand-watered garden . We study books so we know the names of all the flowers. Some flowering plants, which are classified as “weeds,” are beautiful and useful to us. With the hand-picked, pressed and dried, and carefully stored flowers, we create greeting cards all year long. We do not charge for the time involved because we have no way of calculating what that would be. Our flower cards have become our trademark industry! There are two kinds of flower cards. Those cards with REAL flowers are originals…unique, unrepeatable, and often purchased to be framed or used as gifts. We have also discovered a new way to preserve the real flower cards…by printing them. These cards are color prints of the original real flower cards. These can be viewed here and purchased by order numbers. The real flowers are mounted on card stock paper and come with envelopes. They are laminated so the flowers are preserved. The cards are blank inside. 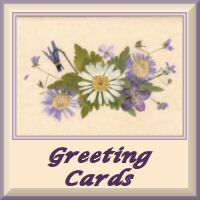 If you order real flower cards, we will send you a selection from our available supply. Flower cards have been designed and made by both Hermit Sisters since the beginning of Marymount Hermitage in 1984. Since 2001, we have had the technology and equipment to do our own in-house printing of the flower cards. Sister Rebecca Mary moved from Marymount in 2011 and, since then, Sister Mary Beverly continues the flower card tradition alone, both with real flower cards and print cards. May God the Father and Creator be praised in all we do in His Name. In keeping with our way of life in which we strive to “pray unceasingly,” Sister Rebecca Mary prays while she makes each rosary. 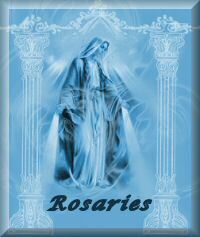 Each rosary is handmade. Rosaries made from nickel silver metal and with glass or wooden beads, range in price from $20 to $35. 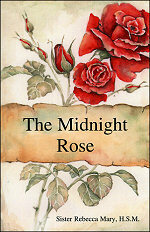 We have started a new venture into the book business. 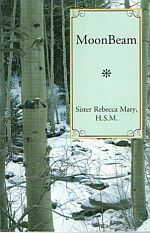 Sister Rebecca Mary has quite a talent for weaving great children's book stories and is a very good illustrator as well. 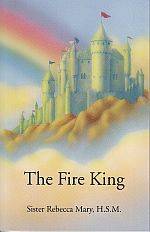 Although funny and captivating, the books teach eternal truths about God and what He expects of us.